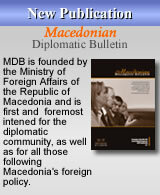 There is no bird flu in Macedonia, Veterinary Administration director Slobodan Cokrevski said on Wednesday (19 October). Cokrevski said that the tests showed that there is no presence of viral influenza or bird flu in Mogila, Nikuljane, and a few farms in eastern Macedonia. The birds died of the "Newcastle" disease. The extermination of all poultry in the Bitola village of Mogila will start today by order of the State Veterinary Institute, the media report. 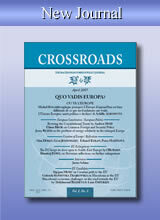 "So far there have been no bird flu cases in Macedonia. 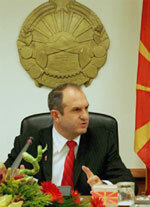 Macedonia is taking all measures for prevention of this illness," Health Minister Vlado Dimov told MIC today. He said that there is no reason for panic and that all health services are working in a coordinated manner for prevention of this illness. 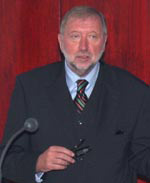 Macedonian Prime Minister Vlado Buckovski stated in the Royal Institute of Netherlands that Macedonia is making radically faster steps compared with the Balkan average. We would like to inform you that all the MIC products that you are subscribed to and that you have so far received by email or fax, you can hereafter access online on the MIC web site www.micnews.com.mk. A two-day business forum entitled "Possibilities for Industrial Cooperation and Investments in Macedonia", which will be attended by over 50 Italian companies, will begin in Skopje today. The Macedonian Government will have endorsed the National Program for Adoption of Aoguis Communautaire by February next year, the Working Committee for European Integration of the Republic of Macedonia announced today. "We're entering a period when the way paved by the democratic political forces in the region should be upgraded with more frequent and more active communication of the citizens of our countries. The essence of our efforts is building a region in which stereotypes are defeated," said Macedonian Foreign Minister Ilinka Mitreva at the meeting of the countries of Southeast Europe on the Greek island of Rhodos. The United States rejects any involvement in the name issue, and reaffirms its support for the UN process on the name issue. "We believe that if the parties want to solve the problem, they should work with Mr. Nimetz and work with each other to find a mutually acceptable solution," State Department Deputy Spokesman Adam Ereli stated at the briefing on 13 October. Foreign Minister Ilinka Mitreva expects Macedonia to be evaluated in accordance with the Copenhagen criteria, aware that European values are achieved through successful regional cooperation. The Government of the Republic of Macedonia accepts UN mediator Mathew Nimetz's proposal and believes that this proposal is a good basis for the resolving of the dispute over the differences on the name with Greece, Prime Minister Vlado Buckovski said this afternoon. The latest proposal of UN mediator Mathew Nimetz and the international community is a serious basis for the achieving of an internationally acceptable resolution in the talks on the differences over the name between the Republic of Macedonia and Greece. "Greece wants stability in the north and does not want any problems on its borders," NATO Policy Planning Director Jamie Shea said at a conference in Skopje. Macedonian President Branko Crvenkovski's office stated for Kanal 5 yesterday that the recent statements of Greek President Carolos Papoulias do not contribute to the improving of the relations between the two countries. Macedonia has real chances of becoming the next candidate for EU membership, considering the decisions made by the Council of Europe in Luxembourg, OSCE Chairman and Slovenian Foreign Minister Dimitrij Rupel said after the meeting with Macedonian Foreign Minister Ilinka Mitreva. 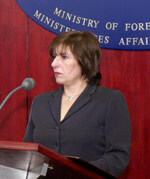 Macedonian Foreign Minister Ilinka Mitreva will depart on a one day working visit to the Kingdom of Denmark on 24 August year 2005 at the invitation of Danish Foreign Minister Per Stig Moller, the Foreign Ministry announced today. We are preparing an assessment on the Former Yugoslav Republic of Macedonia's application for full membership in the EU, and we plan to finalize this assessment by the end of this year, so that the negotiations for the country's membership in the EU could start on time.